Exploring the Galaxy's 25 Billion Planets - Lecture by Professor Paul Robertson, Assistant Professor, UCI Department of Physics and Astronomy, 5-6pm. Following the lecture, view the Moon, Mars and the Orion Nebula with our portable telescopes setup in the courtyard in front of the Multi-Purpose Science and Technology Building. 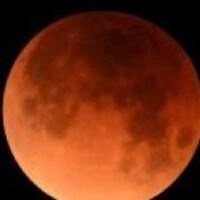 The eclipse lasts from 6:36 to 11:48 pm, and the moon will turn blood red during the height of the eclipse. Buy a T-shirt or a delicious dinner from food trucks, "Falasaphy" and "Piaggio's Gormet on Wheels", and financially support the Astronomy Outreach Program and the Astronomy Club at UCI. Free, donation of $10 per person suggested; RSVP requested.